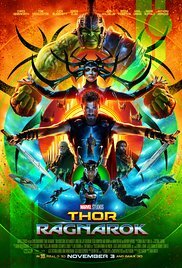 I had been looking forward to Thor: Ragnarok for months--years even--and luckily, I wasn't disappointed. This was an awesome movie with the perfect blend of drama, action, and humour. After getting barely 20 minutes screen time in Thor: Dark World it is great to see Loki present through more of the story again. I also liked the way the film ended in the lead up to Infinity War. The cast are great, the effects look spectacular, and all in all, it was enormous fun. I wished I could have gone straight back in to watch it again! Five stars!! 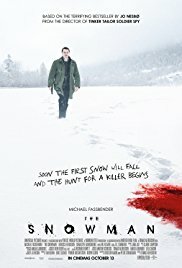 I had the whole cinema to myself when I saw The Snowman--a private screening! I really enjoyed the movie. I know it's received a lot of stick for not being close to the book, but since I've never read the book, I had no comparison and simple took it on its own merits. The best thing about the film was Michael Fassbender. His performance was as flawless as always, and he made Harry Hole an intensely likeable character despite his obvious faults. I didn't guess the ending too early, and there was plenty of suspense without being too gruesome or horror-skewed. While this is perhaps not a film I'd race to see again and again, I did enjoy it and am glad I saw it, and I give it four stars. I cannot wait to see Ragnarok!! Glad you enjoyed it! I've now been to see it a second time too! It's so awesome. Hope you'll enjoy it when you go.